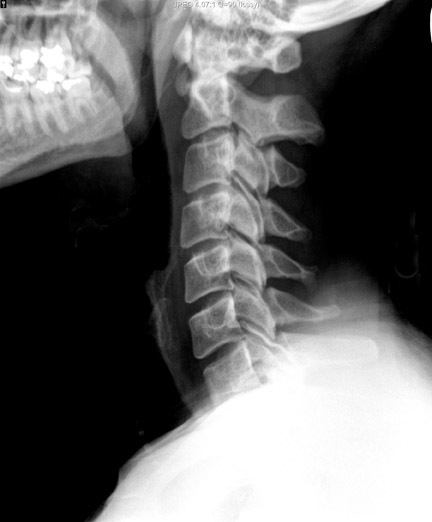 Acute retropharyngeal tendonitis is a cause of acute neck pain that can mimic infection (retropharyngeal abscess, pharyngitis or peritonsilar abscess). Recognition of this entity is critical in order to avoid misdiagnosis and inappropriate treatment with antibiotics and possible"abscess" drainage. In the proper clinical setting, the presence of amorphous calcification anterior to C1/ C2, along with prevertebraledema/fluid, is nearly pathognominic of this entity. 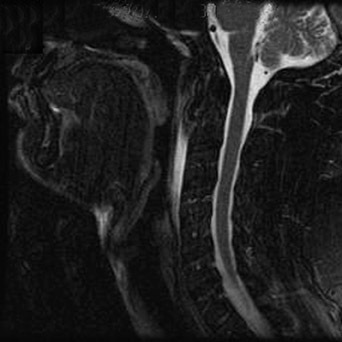 Given the clinical symptoms, physical examination and specific imaging findings, the diagnosis of acute calcific tendonitis of the longus colli was established. At this point, empiric antibiotic therapy was discontinued, and the patient was treated with nonsteroidalanti-inflammatory medication. The patient responded well to conservative treatment and subsequently made a full recovery. 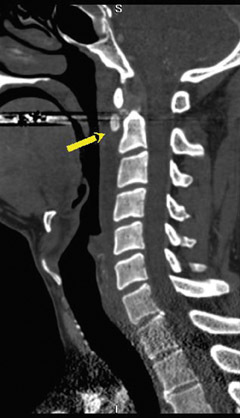 Acute calcific prevertebral tendonitis of the longus colli muscle. Appl Radiol.